At The Good Wardrobe we aren’t really in to ‘what’s hot this week’ and you certainly won’t catch us writing anything that vaguely resembles ‘must-have of the month’. Fast-fashion just isn’t our bag. But, when we see something that ticks a great many of our long-life style boxes we are very keen to shout about it. 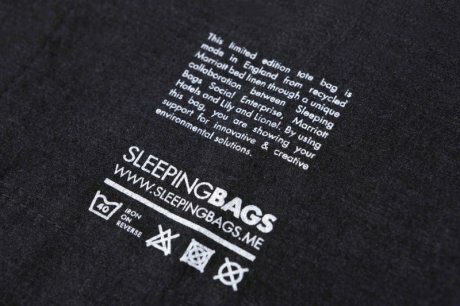 Marriott International has teamed up with social enterprise Sleeping Bags and luxury designers Lily and Lionel to produce this tote bag out of - you guessed it - ‘retired’ bed linen from their hotels. We think that this is a very clever way of giving a new lease of life to a textile otherwise destined for rags or landfill. We are all about the story – if a garment or product has a good tale to tell, our emotional connection to it is stronger. We therefore tend to treat it with more love, care and respect. 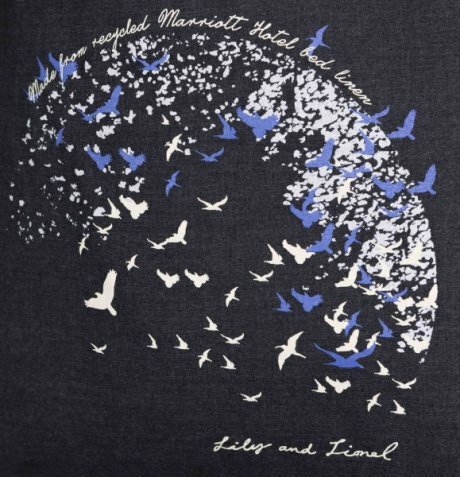 Adding a further chapter to the already very interesting life lived by these upcycled poly-cotton totes, Marriott have committed to donating £10 of the £20 retail price to The Princes Trust. Even more encouraging, the hotel chain has further committed to waste reduction by introducing hairdryer bags, newspaper bags and laundry bags made from their retired bed linen into their hotels countrywide. With only 1000 of the Lily and Lionel print being produced, these bags are limited edition, and whilst we would never suggest you should snap one up right now, we imagine they won’t be around for long. 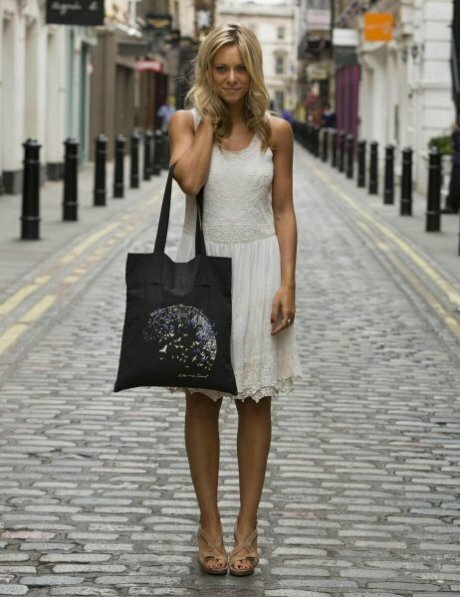 The Lily and Lionel tote bag is available to buy for £20 at www.shopmarriott.com/bedlinentote. Marriott will donate £10 from every bag sold to The Princes Trust. For information about the work of the youth charity and the ways in which it offers practical and financial support to disadvantaged young people visit: www.princes-trust.org.uk.